BALCATTA teenager Jacob Hristianopoulos is representing Australia after a successful run at the Athletics WA State Championships. 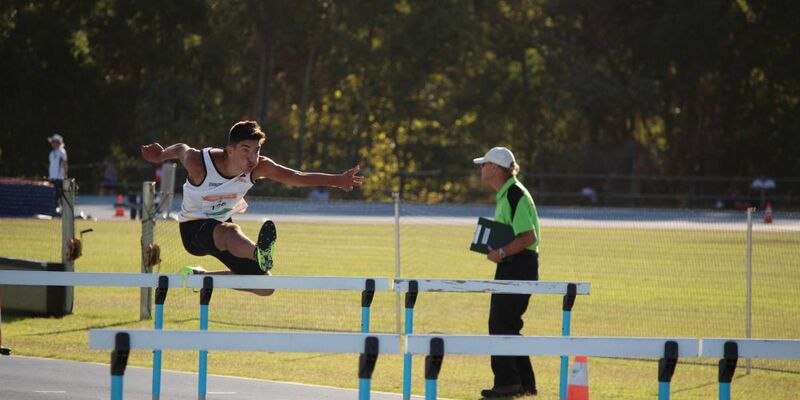 The 15-year-old won four State titles at the WA Athletics Stadium during the February 15 to 17 competition, finishing first in the men’s under 17 100m and 200m events, under 17 110m hurdles and under 17 men’s long jump. Jacob has qualified for the long jump, 110m hurdles and 200m sprint events at the Australian Athletics Championships being held in Sydney from April 1 to 7. It follows a stellar 2018, where Jacob won two silver medals at the International Little Athletics Championships in Singapore and silver in the under 16 boys 100m hurdles at the Australian All Schools Championships in Queensland. Following the national championships in Sydney, his next goal is to qualify to represent Australia at the International Association of Athletics Federations’ World Under 20 Championships in 2020.